What’s this? 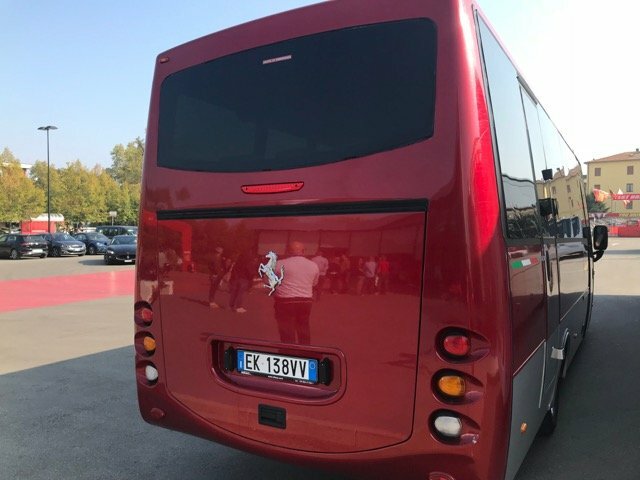 A Ferrari Bus? 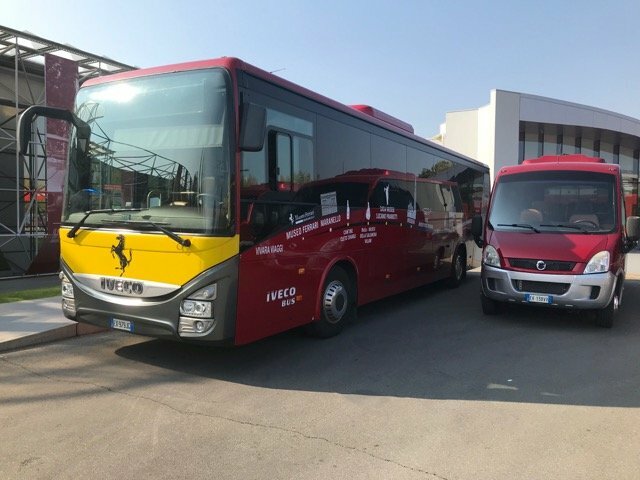 Pictured outside the impressive Ferrari Museum at Maranello, Italy was this Iveco Daily midi-coach, which along with the Iveco Intercity bus is used to ferry visitors from this spectacular and fascinating venue known as the ‘Home of the Dream’ to exclusive shuttle bus tours to the Fiorano track and along the Viale Enzo Ferrari boulevard in the factory complex.